Next week I’ll be giving a keynote at the Association of Internet Researchers Annual Conference at the University of Tartu, Estonia. I’m thrilled to announce that the second edition of The Hybrid Media System is now available for pre-order, for delivery from August 1 in the United States and Canada. It will publish in the UK and the rest of the world in October. On Monday Samantha Bradshaw and Phil Howard launch their new Oxford Internet Institute report on political manipulation of social media at Chatham House. I’ll be discussing the report with them. Registration is open to Chatham House members only. I have a new article (co-authored with Ben O’Loughlin and Cristian Vaccari) out in a few weeks in the Journal of Broadcasting & Electronic Media. It’s the second piece in our ongoing dual screening project and it features in a special issue devoted to dual screening, edited by Homero Gil de Zúñiga of the University of Vienna. Dr Yingqin Zheng and Professor Gillian Symon in the Royal Holloway School of Management have set up a new research group: Digital Organization and Society. They have a launch event this Wednesday, at which I’ll be speaking. I’ll be focusing on media organizations. I’m recently back from the American Political Science Association (APSA) Conference, which was, as usual, an excellent gathering, full of great papers on many aspects of media and politics. This year the highlight for me and my colleagues, Cristian Vaccari and Ben O'Loughlin, was being presented with the Walter Lippmann Award from APSA’s Political Communication Section. 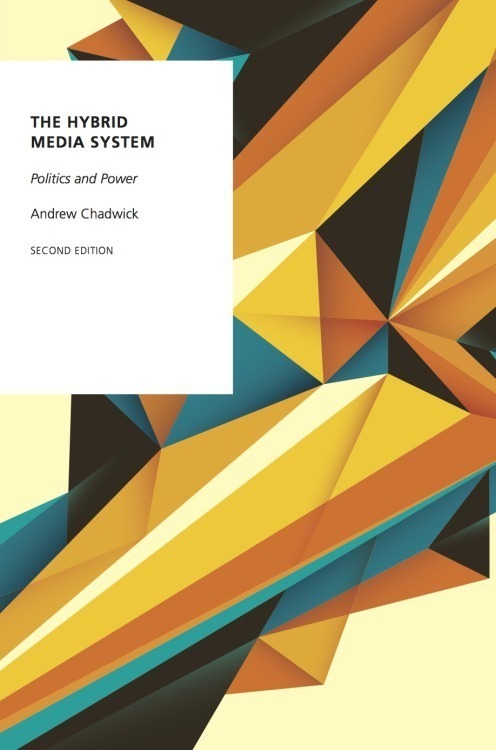 The Hybrid Media System: Politics and Power has been awarded the International Journal of Press/Politics Book Award for 2016. The Award was announced at the business meetings of the Political Communication and Journalism Studies Divisions at the 2016 International Communication Association (ICA) annual conference in Fukuoka, Japan.